New to Virtual Data Rooms? No problem. These FAQs will get you up to speed. A data room is a space or room used for storing data, usually of a secure or sensitive nature. They can be used for many purposes in business related activities, including data storage, document exchange, file sharing, financial transactions, legal transactions, and more. A virtual data room also known as a VDR is an online repository of information that is used for the storing, distribution, and collaboration of files and documents. In many cases, a virtual data room is used to facilitate the due diligence process during an M&A transaction, loan syndication, or private equity and venture capital transactions. Up until the 1990’s, due diligence processes had traditionally used a physical data room to share and disclose information among parties. With the advent of technology, virtual data rooms have almost entirely replaced traditional data rooms since they are more secure, efficient, and cost-effecive. Why are VDRs used in M&A deals? A VDR streamlines M&A transactions by automating manual processes and moving the information exchange online, so parties don’t have to travel to a physical location to participate. During the M&A process, companies often share highly sensitive information, including trade secrets and intellectual property. Mergers and acquisitions are highly sensitive transactions that demand the utmost in secrecy. M&A deal leaks regarding even potential negotiations can impact a sale price or just kill a deal altogether. Virtual data rooms are more secure than physical data rooms and are built with inherit security features, such as encryption and granular permissions controls, at the file level to safeguard each document throughout its lifecycle to ensure no sensitive information is exposed. Due diligence is the phase of a deal in which the acquirer/buyer/investor performs extensive review of the target’s records and information in order to properly formulate a proposed value of the entity and structure for the deal. What is the difference between virtual data rooms and other "secure" file sharing platforms? Virtual data rooms were built specifically for due diligence and sharing other highly sensitive business information. They have inherit security and features that help streamline and manage the M&A process and other business critical events. VDRs are built with multiple layers of bank-grade security and encryption to protect data. Other file sharing applications lack the sophisticated security measures an enterprise needs to share information. Many of these file sharing applications may advertise they are “secure,” but they lack the sophistication and inherit security measures an enterprise needs to share and collaborate on information. They also aren’t equipped with the features and functionality to help streamline the deal process. Aren't all virtual data room providers the same? No. A good VDR provider will invest their money in continually upgrading their products with the latest technology and security features. They are able to rely on the technology and service to sell the product. Unfortunately, not all VDR providers are created equal. Many providers choose to invest their money in marketing and “wining and dining” clients to sell their products. They often neglect technology and security upgrades. Additionally, not all VDR’s come with service or customer support. Having dedicate support is crucial when setting up your data room or if potential buyers invited into the data room have questions or need technical support. What should I look for when choosing a VDR? Security. Ease-of-use. Service. Value. A good virtual data room will be built on the latest technology stack and deploy the latest in encryption and advanced security features. It should be ease-to-use and deploy for all parties involved. You should have a dedicated support manager and 24/7 assistance. Also, if you want to integrate your VDR with your other platforms, it should have an open API. Virtual data room security is one of the most important things to consider. Sony. Equifax. Yahoo. HBO. Target. The Democratic National Committee. Each of these entities suffered major losses (financial and otherwise) as a result of computer hacking. And there’s every reason to believe nefarious players will continue to worm their way into networks to steal or compromise critical data. This is why ensuring your virtual data room has multi-layered security is as important as ever — to ensure valuable information is protected from those who want to commandeer it for their own benefit. The data you store in your VDR is valuable to you and your business. But if it falls into the hands of a hacker, it could compromise a transaction, your intellectual property or bring your entire business to a halt. A network breach in 2011 compromised customer data for 77 million Sony PlayStation accounts, resulting in the PlayStation Network being shut down for more than three weeks. Others break into systems and try to extort money from their victims. This was precisely the case with HBO, where hackers implied they wanted a $6 million ransom. And of course there’s Equifax. The break in resulted in the stock losing around one-third of its value – about $4 billion in market capitalization – in just one week. You need to have a strategy and then implement a plan that protects data at all its potential touch points. While a critical first step, it’s not just a matter of ensuring that your firewall is secure. You also have to ensure your vendor’s VDR platforms are built with bank-grade security. To return to the earlier analogy about the apartment building, that’s similar to only having a front door key. It’s a main line of defense, but it’s not enough. Hackers seeking targets is just an unfortunate reality in today’s internet-connected world. But there’s something your business can do to guard itself against being its next victim. And that’s ensuring your virtual data room is built with multiple layers of security. Cloud Storage Platforms: For the most part, these originated as consumer-centric services. In that, they were designed for collaboration and file sharing. But one area they lacked was in security. While many providers are looking to expand into the enterprise, their security features still don’t meet the high standards big business typically requires. In fact, in 2014 a hacker exposed passwords for 7 million Dropbox accounts. This came two years after the same provider was hacked, exposing data for some 68 million accounts. Box, a leading provider of cloud storage, has “poor security practices” according to TechRepublic, potentially exposing data for millions of their customers. That said, these services are good for sharing large files with family and friends, and they’re inexpensive. But generally speaking, they have limited use in the enterprise outside of small businesses with limited security needs. They also offer little customer support. Security: Will you be storing or sharing sensitive information such as corporate financials or customer information? If so, you will need a VDR that offers multi-layered security including the highest levels of encryption, administrative controls, and firewall protection. Data Capacity: Does your business require a large volume of data? Is the virtual data room equipped to handle the quantity you plan to store and share? Virtual data rooms for M&A are used quite often. Merging or aquiring other companies or assets involves a lot of due diligence. Often this means the exchange of thousands of corporate documents and files that contain highly sensitive corporate information including financial projections and intellectual property. Exchanging large amounts of sensitive data can be risky and overwhelming to manage. Companies turn to virtual data rooms because they are equipped to handle large amounts of data and provide advanced security features, collaboration tools, and complete reporting capabilities so you can communicate with potential buyers, control what information they see, what they do, and then report on their every action to determine a deal’s potential. Proper due diligence in an M&A process can often mean the difference between millions of dollars in valuation. Virtual data rooms can help expidite deals, ensure sensitive information is not leaked, and maximize valuation potential. Portfolio Company Aquisition: Private equity firms must perform due diligence on companies to become part of the PE fund. They often use VDRs to host the information used for the PE fund to perform due diligence on the potential portfolio company. Private Equity Fundraising: Private equity funds raise money from investors so that they can make investments in an effort to generate a return. Virtual data rooms can be used to host documents for the fund so that potential investors can do their due diligence. LP Reporting: Private equity funds use SmartRoom to share financial reports and results with their investors. VDRs are used to share and exchange results and reports with their investors. Portfolio Company Sale: As a PE fund winds down, they often sell or combine portfolio companies and/or entities to generate returns. Virtual data rooms can be used to store the documents used for the buying company to perform due diligence on the portfolio company. IPOs: When a private portfolio company goes public and ready for the first sale of stock, private equity funds use VDRs to due diligence on the company issuing stock and also for the regulators to review documents for IPO compliance. * Learn how one of the world’s leading financial institution was able to facilitate $290 billion dollars worth of NPL sales with a virtual data room here. Law firms and legal departments can often get bogged down in digital paper, having to endlessly share, review, and mark-up documents. Virtual data rooms allow legal departments to securely share documents, collaborate, and edit documents. with VDRs legal teams can easily share confidential legals documents and e-discovery via email links while still maintaining complete security. Often time case files can contain thousands of pages of documents. Virtual data rooms have quick upload speeds for such large data sets of up to 300 GB’s. Comprehensive reporting allowed them to continuously track all document activity, including who was opening which documents. 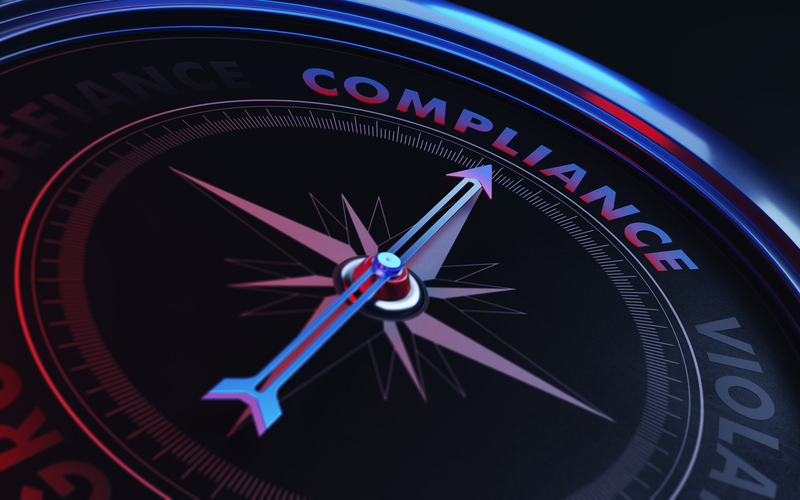 Organizations are constantly under the gun to stay up-to-date with compliance regulations and policies. As part of the ongoing compliance pressure, organizations have to report to and collaborate with legal counsel. consultants, service providers, CPA firms, and regulatory agencies. This creates a complex environment of multiple parties and sensitive content. Virtual data rooms help organizations to effectively manage the compliance lifecycle by providing compliance departments the ability to securely share and collaborate on content while also ensuring complete audibility. An organization’s financial information is extremely sensitive and confidential, requiring the highest levels of security. Yet, this information needs to be shared both inside and outside of the organization which creates potential liabilities. Virtual data rooms allow finance departments to securely share and collaborate on sensitive financial information while maintaining full security and traceability both inside and outside of the data room. The IPO process is one of the most important yet complex events that a growing company will go through. From financial scrutiny by investors, auditors, and regulators to continuous collaboration amongst investment bankers, lawyers, and accountants, companies must be prepared to manage large amounts of information and accompanying analysis. Information is everything when it comes to billion-dollar Wall Street transactions. Should key points of data fall into the wrong hands or leak out before an offering goes live, an investor road show or the entire deal could be compromised. One wayward email or unsecured document can change everything. As a result, bankers need to ensure the highest level of security for their files at all times. Virtual data rooms are cloud-based platforms were built for these purposes and help facilitate the IPO process. VDRs help companies share and collaborate on content securely. Many provide detailed reporting on what potential investors are looking at and are able to restricted viewing, printing, and saving capabilities on sensitive documents. VDRs provide the tools needed to ensure the IPO process is managed efficiently and securely. Use a virtual data room to streamline the IPO process by allowing multiple stakeholders to access critical information from anywhere at any time on these ultra-secure platforms. During a round of fundraising, startups and other companies have to share sensitive and other high-value information with potential investors. These companies often invest in a virtual data room to host the due diligence for this process. One of the reasons VDRs are used is in this process is to maintain security of intellectual property (IP) and ensure valuable company information does not leak or fall into the wrong hands. Another reason VDRs are used in fundraising, is because these platforms can track and monitor all activity in the room. The ability to know which potential investors are looking at what documents can give companies valuable insight for negotiations during a round of fundraising. * Learn how the company Vaccitech used a virtual data room to secure $27.1m in a successful series A financing here. The restructuring process is inherently uncertain. Companies encountering these uncertain times trust a myriad of professionals to navigate the process: debtor’s counsel, financial advisors, accountants, and tax and administrative support–all working in concert towards a successful outcome. Secure, shared, accurate, and up-to-date information is essential to all parties involved in the process. The confidentiality level and sheer volume of data shared between the company, professionals, and key constituents can be considerable. Virtual data rooms are paramount for secure document exchange during critical events such as distressed business sale. VDRs can be used to help securely facilitate the debtor and debtor’s counsel, and all other parties-in-interest, by consolidating all materials typically related to a distressed M&A due diligence process. Prior to virtual data rooms, multiple parties representing buyers and the debtor would meet for weeks to review documentation related to the distressed sale. Now VDRs provide an efficient, expeditious, and cost-effective alternative to this by providing around-the-clock access to sensitive materials needed by all parties-in-interest. Virtual data rooms provide encryption software, firewalls, and other continually audited measures to keep documents secure during the the restructuring process.